To maximize your Tucson real estate investment, experts believe you should buy the worst house in the best neighborhood. Then, add some elbow grease to bring it up to snuff with the rest of the homes in the area. However, purchasing a property where the combined sale price and cost to fix it up exceeds the home's value is not a sound investment. 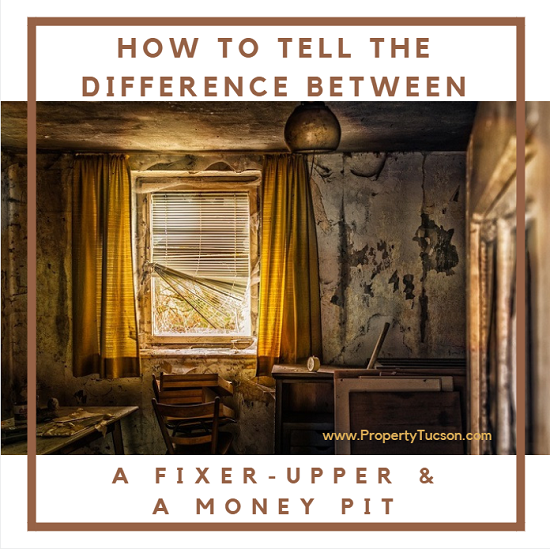 How do you tell the difference between a fixer-upper and a money pit? Concentrate on a few key areas to determine if this property is worth the expense, time and effort. The roof can be one of the most expensive items to replace in a fixer-upper. They typically last around 15 to 20 years. However, water and other damage severely shorten the roof's lifespan. It would be worth the extra cost to hire a roof inspector to examine its condition and provide you with an estimate to repair, if necessary. 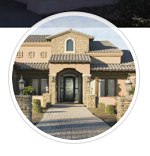 When you live in a desert community like the Tucson real estate market, you quickly understand how important the heating and air conditioning system can be. Replacing or installing an HVAC system is almost as expensive as replacing the roof. But it's a necessary expense when you buy a fixer-upper, especially if you have plans to flip the property. As temperatures begin to lower, it's the perfect time to get these repairs done, too. After the summer heat fades, HVAC company schedules begin to open up. So, finding a professional at a decent price becomes easier. Older homes weren't built with modern conveniences in mind. You need to make sure that your Tucson fixer-upper can handle the electrical load placed upon it by today's lifestyle. A new electrical panel and extra circuits might be required. Has that Tucson fixer-upper sat vacant for a while? Then, most likely, it has plumbing issues. Pipes break down faster when they're not in use. Also, look around for signs of leaks (water stains, spots, etc). This could indicate potential problems within the walls. Finally, take a close look at the foundation. Every home settles. Hairline cracks aren't unusual. But, if the cracks run horizontally and are 1/4" wide or more, then they may be cause for concern. Other ways foundation problems make themselves known? Doors that stick when you open or close them. Sagging/uneven floors. Gaps around windows and exterior doors. Cabinets and countertops that separate from the walls. Always hire a home inspector to investigate the Tucson fixer-upper you're interested in purchasing. From there, determine which areas require further investigation. Then, hire the appropriate professionals to come out and take a look. Ask for estimates. This will help you determine whether that home is a fixer-upper or a money pit.